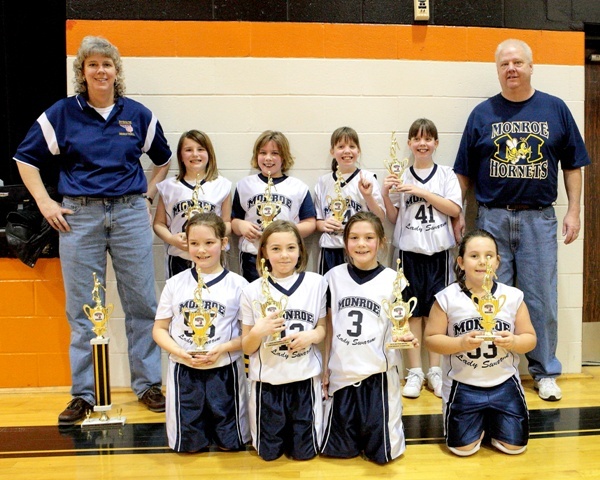 The 3rd Grade Lady Swarm won our post-season tournament. We are the 2010 Dayton Metro 3rd Grade Tournament Champions. Not only was this team Tournament Champions, we were League Champions going undefeated all year in the league at 17-0. We were also Tournament Champions in a pre-season Thanksgiving Day tournament at the Kingdom going 3-1. Our overall record for the season was 22-1.